In 2018, we obtained the building permit for the Sauvenière project. 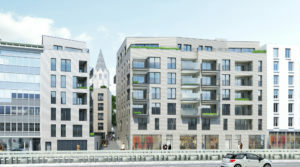 The site, an urban wasteland since more than 40 years, will host 68 housing units with different typologies (studios, one-, two- and three-room apartments), spread over 5 buildings all overlooking the semi-public spaces created in the heart of the block, as well as ground floor commercial spaces on the boulevard Sauvenière. 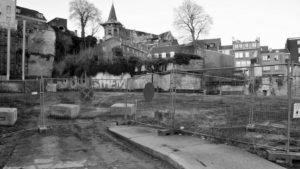 The site plan clearly reflects a strong intention: to recreate the former rue Basse Sauvenière and to insure the pedestrian link on the site, from its two sides and the boulevard de la Sauvenière. Start of works scheduled for this summer.